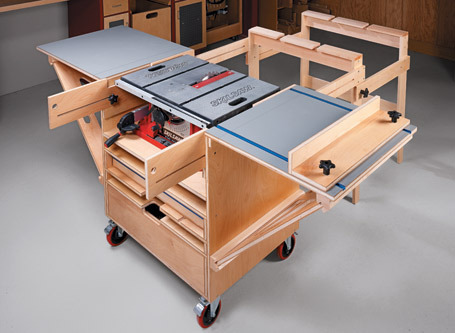 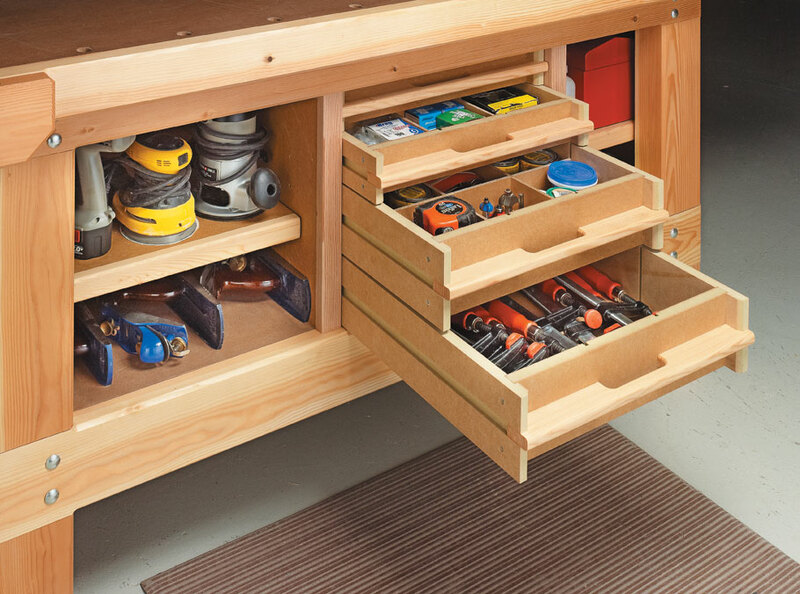 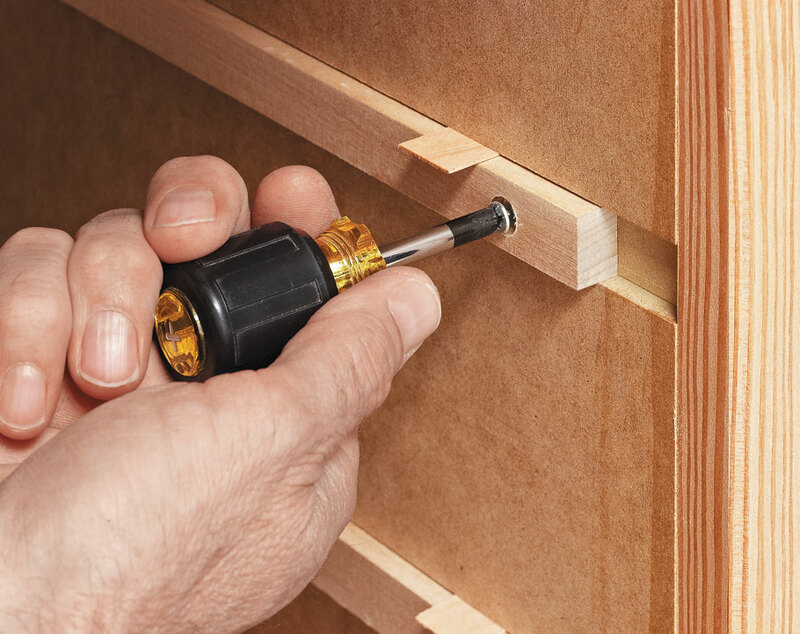 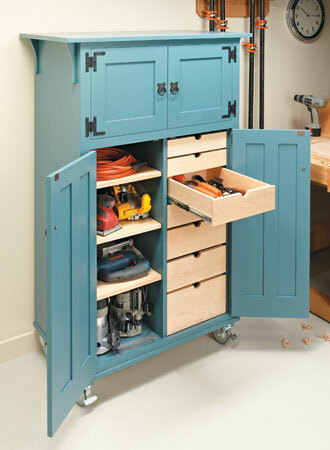 If your workbench has a large open space in the base, you can add this modular system of drawers and shelves. 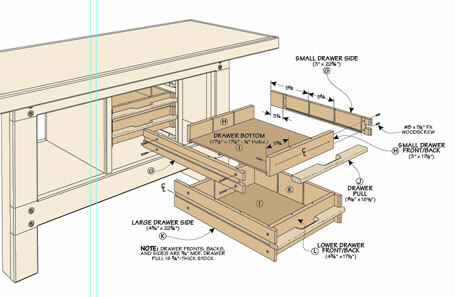 The key is that each component is easy to make and simple to add to the bench a piece at a time — like building blocks. 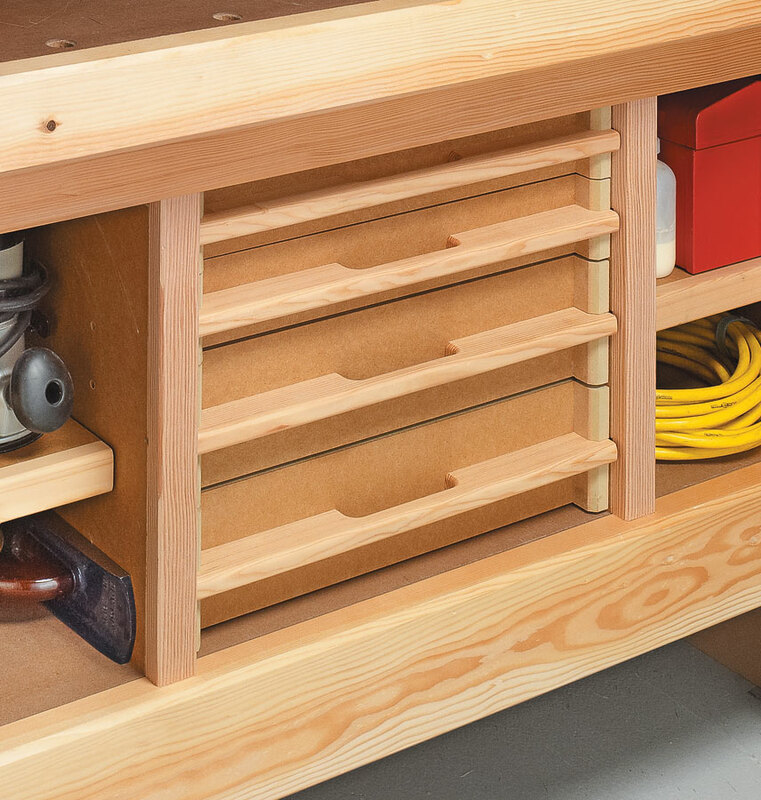 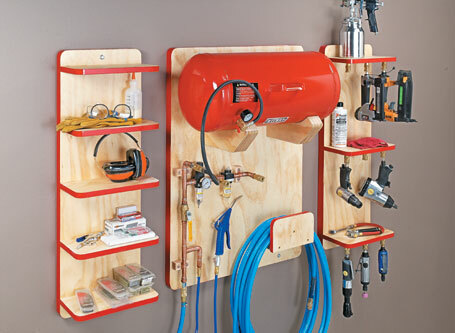 The reward for spending a little time assembling this system is more than matched by the organization it adds to your shop.